Main objective of this tutorial is to help you to get location information. 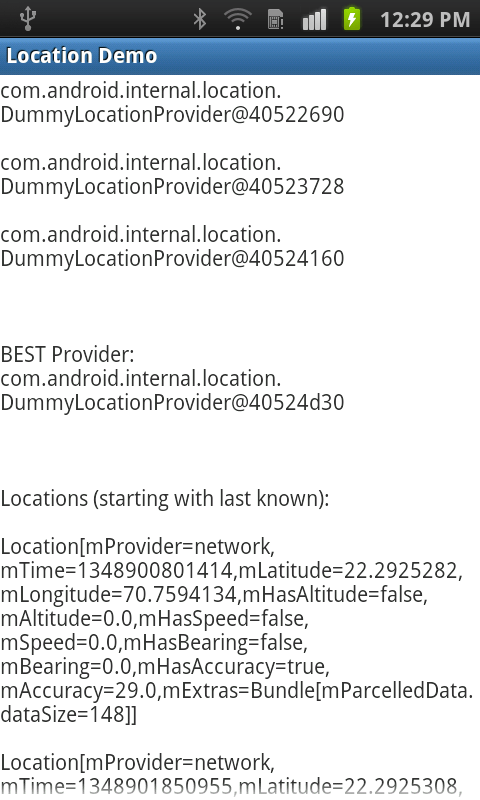 To get the location manager, we ask the context to getSystemService() for location services. Next we ask the location manager for list of all available providers. You may not care about all available location providers but just want to get the best one available. To do this, we specify our criteria for best. For example, do we require altitude and bearing, allow cost, etc. For this we create new method named getLocations(). Now we add different methods for the different states of the Locations. output.append("\n\nProvider Status Changed: " + provider + ", Status="